The moment we live in makes the exploration of the relationship between theatre and politics more important than ever before. 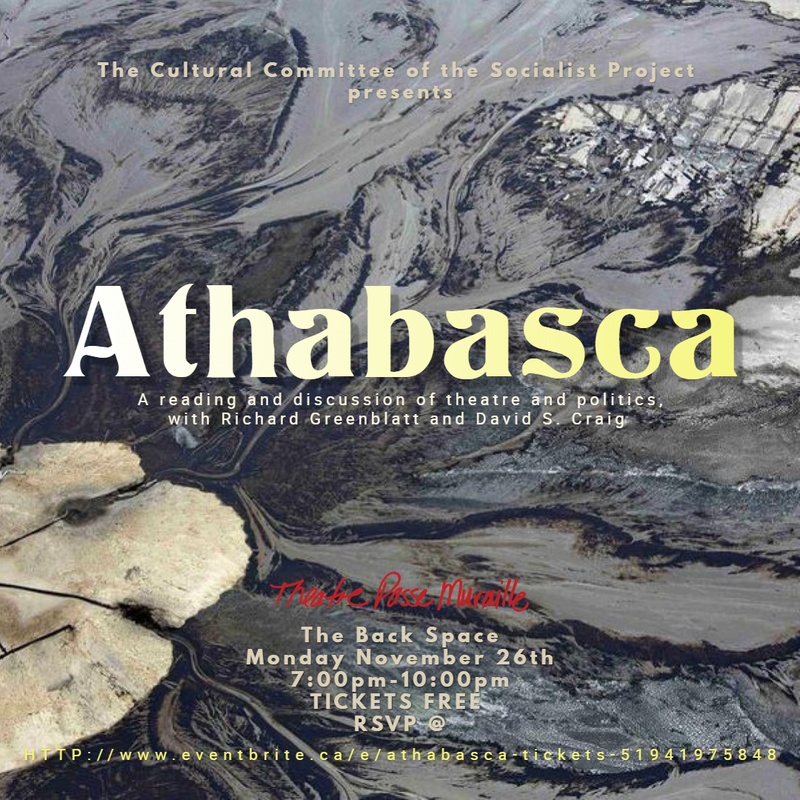 The Cultural Committee of the Socialist Project invites you to ATHABASCA, a special reading and discussion of politics and theatre with multi award-winning theatre artists Richard Greenblatt and David S. Craig. ATHABASCA is a tense and engaging new drama about global ecological disaster, the extractive industries, and the politics of violence. A marketing executive for a major oil company is suddenly confronted in his office by a desperate journalist turned environmental activist determined to do whatever it takes to shut down the Athabasca Oil Sands. As a fierce life or death struggle between the two unfurls, each holds the other responsible for the looming environmental disaster that threatens us all. Greenblatt and Craig will read their play, and the political questions it raises and the role theatre can play in contemporary social change will be explored through an interactive Q&A with the audience.